Black Desert Online is adding Absolute Skills to NA/EU servers with the Feb 28 Game Update. Absolute Skills: Unleash Your Full Potential! Black Desert Online continues to raise the bar on fast paced, action packed combat. With the completion of today’s Maintenance, we’re introducing the next evolution of this dynamic combat system. The highly sought after Absolute Skills will provide each class with a myriad of new attack combinations by bringing Pre-Awakened, Main Weapon attacks in line with their Awakened counterparts. 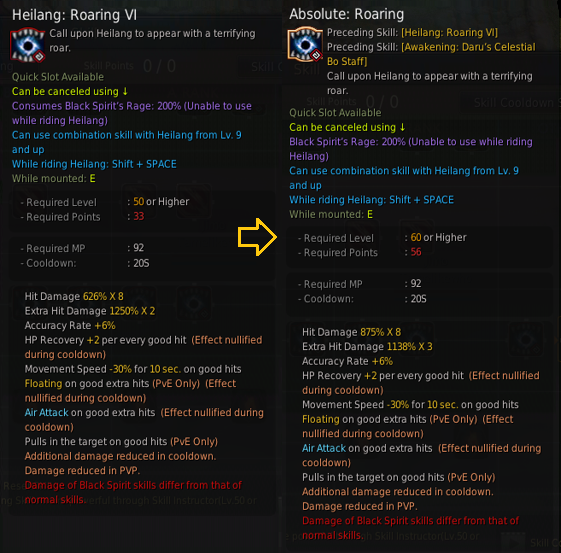 Find out additional details below as we break down the changes by each class. It’s time to sharpen that old battleworn blade or rekindle the latent spark of magic within your staff! Main weapons are making a comeback, when you log in make sure the below requirements have been met to unlock the powers of the Absolute Skills for your classes’ main weapons. After completing the Awakening Weapon quests at Lv.56, Absolute Skills can be learned through the Skill window in the Main tab. In order to learn a skills ‘Absolute’ version, the skill must first be leveled up to its maximum. 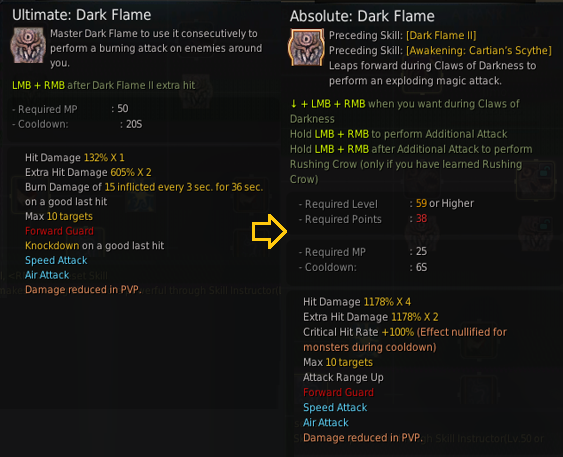 Absolute Skills will inflict greater damage and an increased number of hits compared to their original Non-Absolute version.